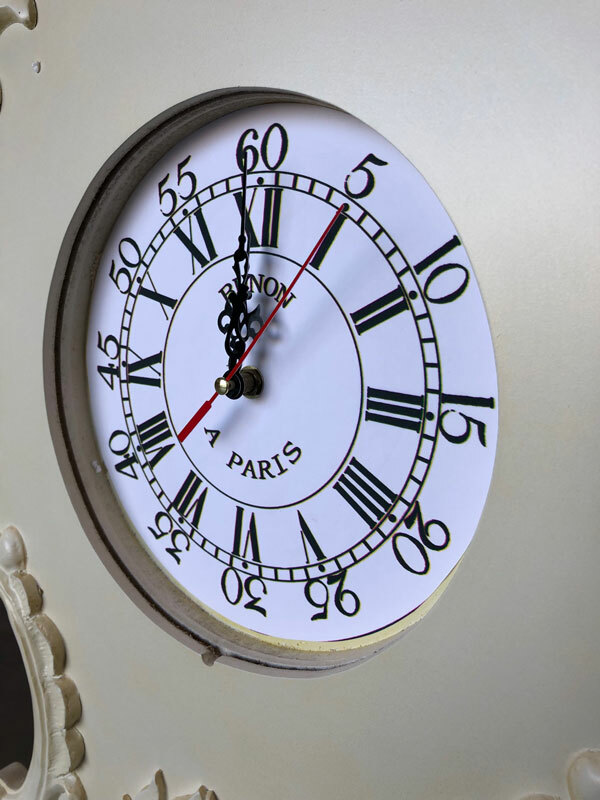 The clock takes one AA Battery Please note this item is intentionally 'distressed' to give the appearance to age. 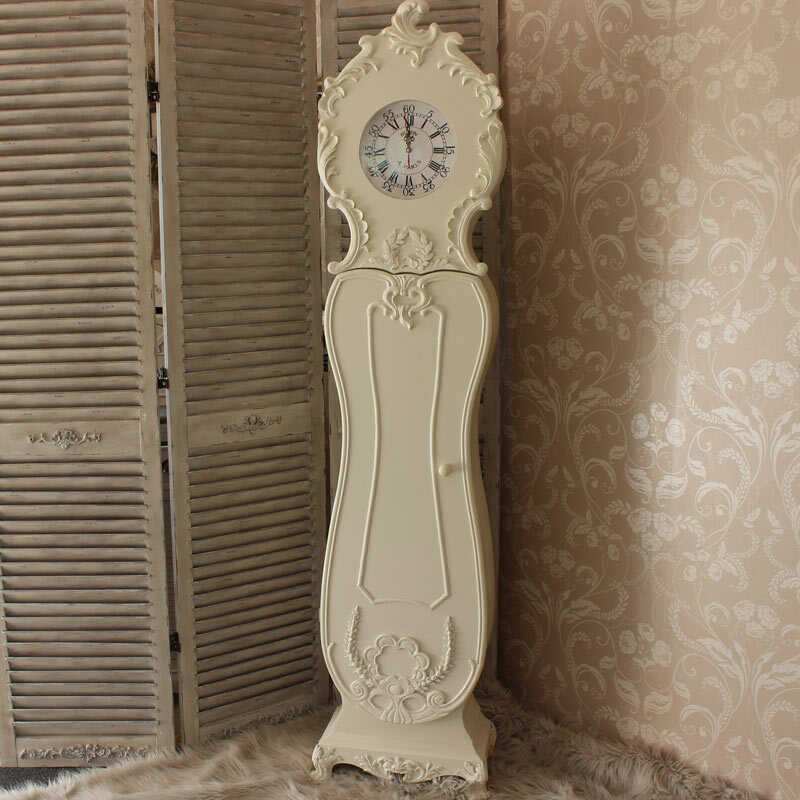 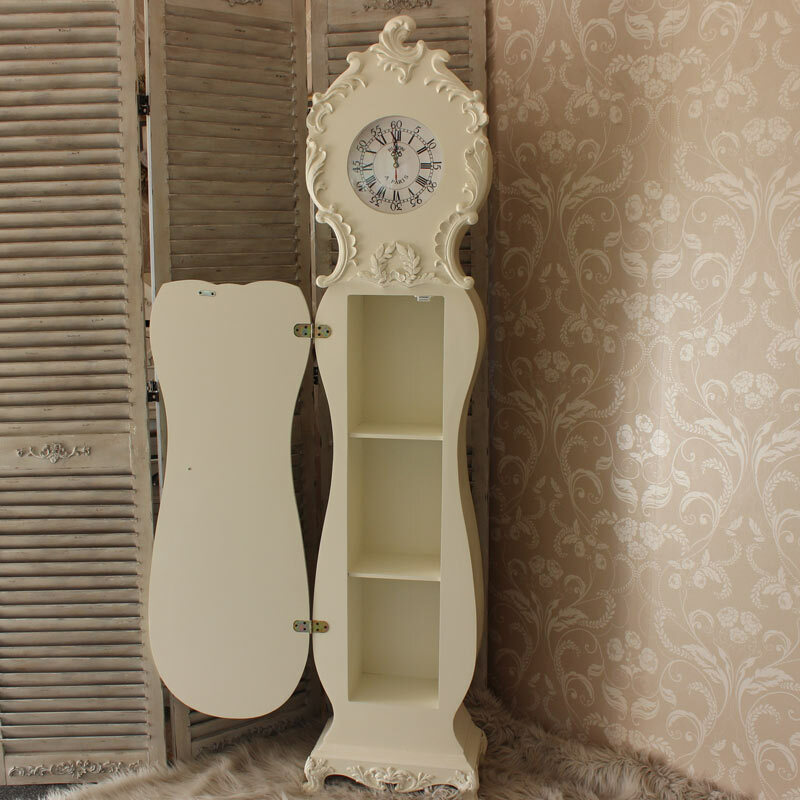 From the Kensington Range this Grandfather Clock has a front storage cupboard. 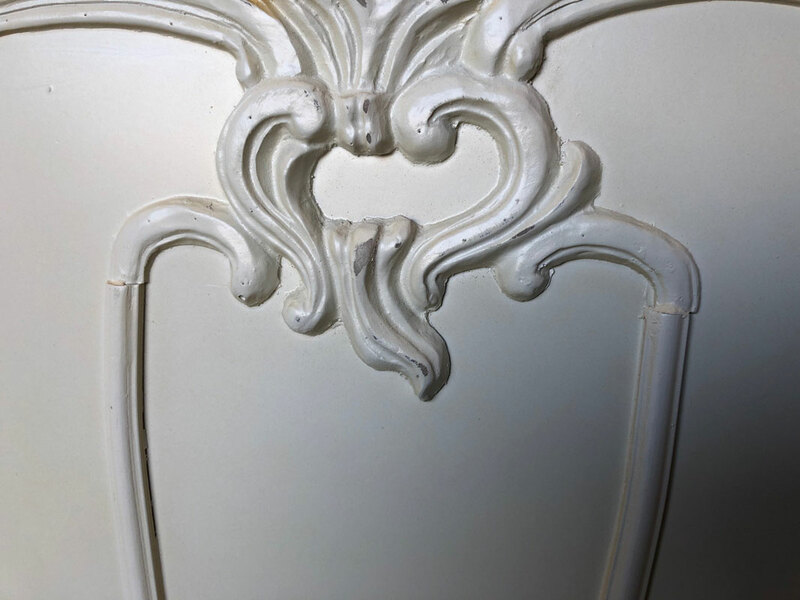 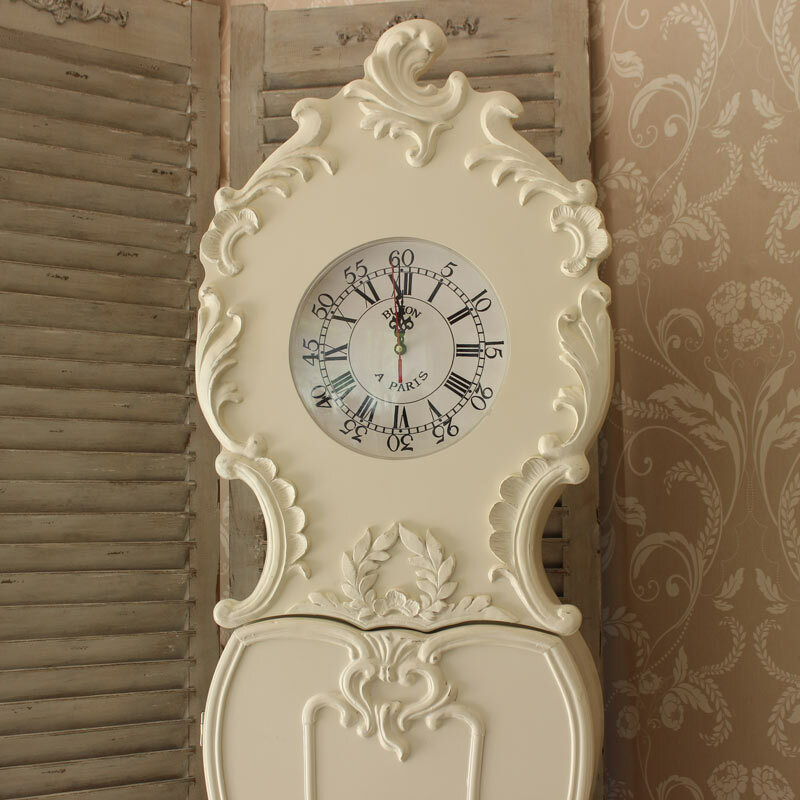 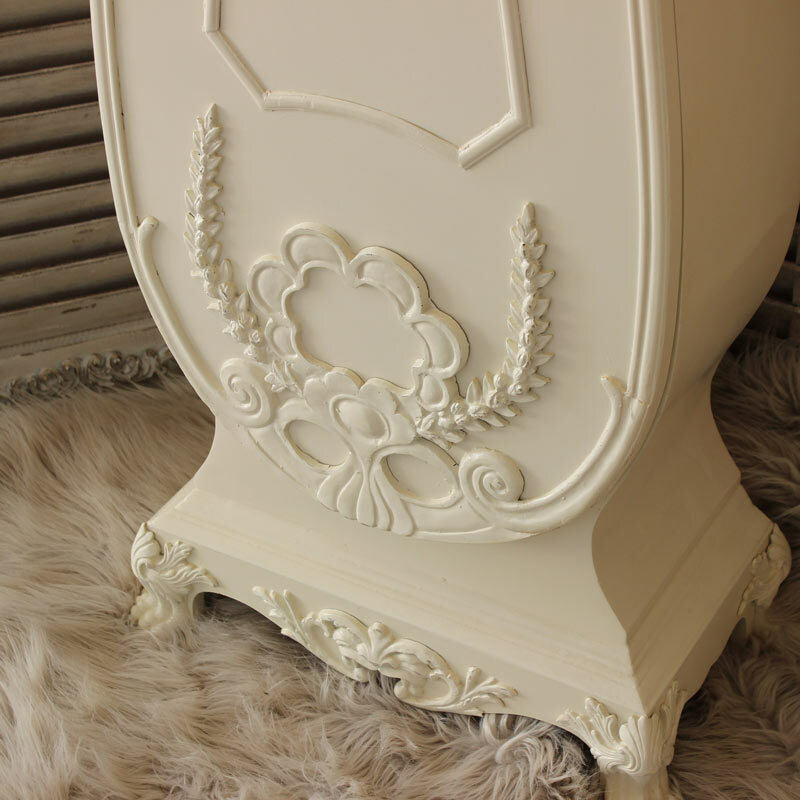 It is made from wood, painted cream and given a distressed finish, and it has an ornate top section and carved detail that supports its French shabby chic styling. 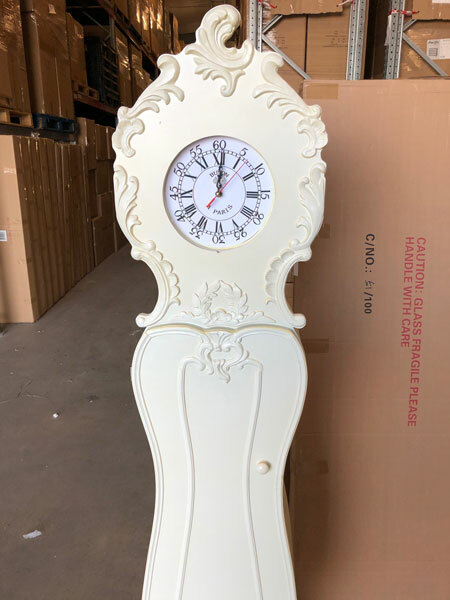 Access can be gained to the battery and clock mechanism pack by the hinged door on the back and it will need one AA Battery to operate it. 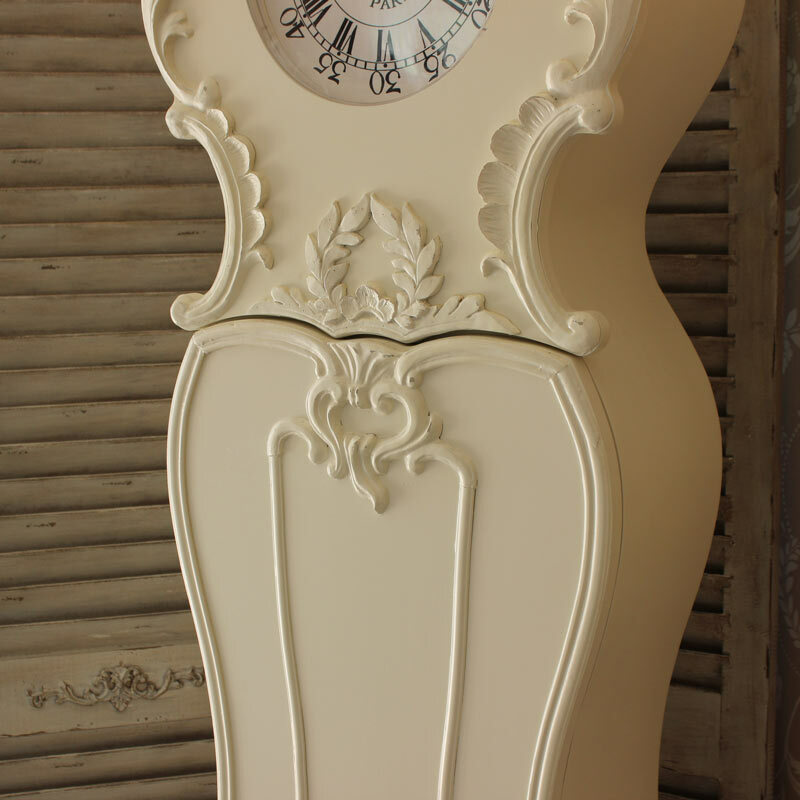 Its dimensions are 41 cm x 183 cm (width x height).